The true mark of a good magic trick is not whether it can fool magicians, but whether it entertains people. And with good presentation, a self-working card magic can be among the most entertaining tricks you'll find. 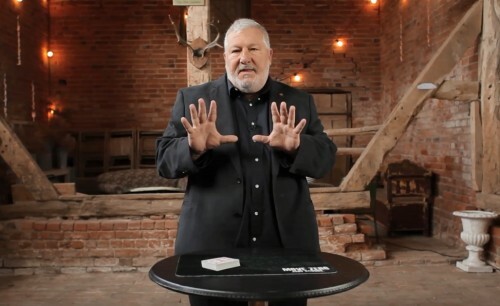 Several videos that have appeared from Big Blind Media in recent years that have helped self-working card tricks emerge from the shadows that they usually occupy, and the terrific Move Zero series by John Bannon is one of the finest examples of this exciting new trend in magic. Bannon is much respected for his clever psychological approach to magic, and even when he dispenses with the need for sleights, gaffs, or gimmicks, he is able to produce magic that is strong and entertaining. The first three volumes of the Move Zero series brought us 27 different tricks, along with a great deal of valuable advice and tips. If you've worked through these videos already, you'll have learned some fantastic routines, and also mastered some common moves used in self-working magic, including the Cross Cut Force, Balducci Force, Jay Ose Cut, and more. Volumes 3 and 4 do a good job of taking us into less familiar territory. With Move Zero (Vol 4) we get to learn another 9 great tricks, and dig deeper into John Bannon's trickbag for more valuable guidance that will help us produce strong magic - all without needing to resort to difficult "moves". Available either as a DVD or a digital download, Move Zero (Vol 4) continues the proven formula established by its predecessors. For each of the nine tricks included there is a live performance with various spectators, followed by John Bannon walking through the explanation to BBM team members. And of course there are the additional "trickbag" and interview segments that we've come to love and appreciate. 1. Proximity: The spectator thinks of any card from a shuffled deck, after which you remove two cards as "predictions". The thought of card turns out to appear between cards that match the predictions. The method behind this probably won't surprise you, but the way it is put together and presented here produces a very strong effect. 2. Second Reckoning: The spectator removes a number of cards, and remembers a card corresponding to the number. You spell the name of the card one letter at a time, and incredibly arrive at the selected card. Dead Reckoning was one of the strongest effects on Move Zero (Vol 2), and this is effectively a similar baffling effect but using a different method. 3. Power Of Poker: I've always loved the 10 card poker deal in which you do a head-to-head game of poker, with the spectator making all the choices. Here they end up with a full house, but deal you a royal flush. And you won't even need the key elements mostly used in this kind of routine (e.g. equivoque, Jonah card). One of the best tricks in the video! 4. Banco: Unlike the other tricks, you'll need to source some special banknotes (readily available online) for this trick, which is reminiscent of the classic Bank Night routine. Again the spectator makes all the choices, and yet they don't end up with an envelope with the money. The method here may be familiar, since it relies on something normally done with playing cards. 5. Depth Charge: One spectator removes a packet of cards and secretly counts them to produce a number. Another spectator uses two cards arrived at by shuffling to randomly to generate a selection based on their value and suit. When counting down to the first spectator's number, you arrive at the very card generated by the second spectator. This illustrates well the principles discussed by Bannon in the trickbag about "Layering Methods". 6. Lost In Translation: A spectator cuts a shuffled deck, and three spectators each get one of the next three cards. Each card corresponds to a word as indicated on a code sheet, and you then reveal what the three chosen words are. The ability to customize this gives a lot of flexibility for presenting and using this. 7. View To A 'Skill: You make a prediction and then play a "game" with your spectator: they pick red/black, and you deal pairs of cards from a shuffled deck - the spectator gets them if they're both his colour, you get them if they're both the other colour, neither gets them if they are one colour of each. Incredibly, the prediction not only reveals who will win, but by how many cards. This is based on the classic math trick "Miraskill" (1935) by Stewart James, but makes it entirely self-working, without the need to add or remove cards. It requires considerable dealing, but to be able to predict the result precisely given the apparently fair method of dealing is rather astonishing! 8. Go-figuration: From a shuffled deck, the spectator engages in a number of cuts, shuffles, and dealing cards until they want to stop, in order to produce four cards, which incredibly are a four of a kind. Given the apparent choices made by the spectator, it is a remarkable outcome, the strength of which benefits from layering techniques and the probability cull discussed in an earlier volume. 9. Triplicity: A spectator cuts off a random amount of cards, which they count to determine a random number, then remembering a card in the deck at that number. You then show that you've predicted both the card and its position in the deck. This is an outstanding trick that is one of the best in this entire collection. In addition, at the very end there is an interview where Bannon talks about "Next Steps For Learning Magic", and discusses five things that newbies should endeavour to learn in their ongoing journey into card magic. Tricks: This collection makes a great finale to the series. Like Vol 3, these tricks go well beyond the more commonly seen methods of self-working card magic, such as the cross-cut force and balducci force. While there is some overlap in the methods that are at the heart of a few of the tricks, for the most part there's good variety. I love the "Power of Poker" plot, and the "View to a 'Skill" also offers a fun "game" that you can have with your spectator. "Banco" and "Lost in Translation" provide opportunity to do routines very different from your usual card tricks. Utility Moves: I especially enjoyed the section on layering methods, which is a principle I first came across in the excellent Designing Miracles by Darwin Ortiz. Tricks like "Depth Charge" and "Triplicity" make good use of this technique and produce a very deceptive result, and are among my favourites in this video. Self-working yet strong: The strength of John Bannon's magic is how he employs subtlety and psychology in clever ways rather than relying on sleight of hand. But that doesn't mean that this is second class magic. There are some very strong routines that really have the potential to knock the socks off your spectators. When well presented, you can really amaze with this material. Accessible yet attractive: Because these tricks are self-working, they are very easy to learn and perform, which gives you the freedom to focus on your presentation. That also puts them in the reach of novices. And yet they can produce a strong effect that makes them appealing even to seasoned performers. Whether you are relatively new to card magic, or an old timer, you're almost certain to find something you'd like. Teaching: One of the things that I really like about John Bannon's teaching is that he explains the thinking behind his magic, and helps you to understand everything that goes into the constructing and performing of each effect. The trickbag sections are an important part of this, by providing us with the skills we need to really make our magic work well. Quality production: Big Blind Media has to be considered an industry leader when it comes to the filming and production of magic videos. Everything is outstanding, whether it is the sound, studio lighting, or camera work. Multiple camera angles and close-ups are used as needed, and you really couldn't ask for anything more. Full marks for the production! Where to begin? 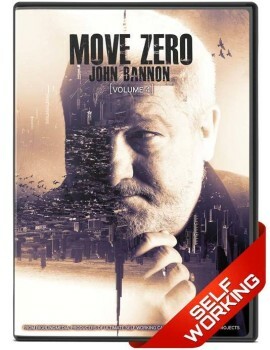 If you're new to the Move Zero series, you certainly can begin with any of the four DVDs. Each volume of the series is arranged somewhat according to the techniques taught in the trickbag sections. So Volume 1 sees quite a number of tricks using the cross-cut and cut-deeper forces; Volume 2 focuses on the use of Ackerman's probability cull, Gilbreath's Second Principle, and key cards with crimps; Volume 3 has tricks relying on utility moves like Marlo's automatic placement and Bill Simon's Prophecy Move. Don't worry, these are all carefully explained, and sound far more complicated than what they actually are. So I'd suggest going either with techniques that interest you, or ones that perhaps are new to you and that you'd like to learn. It's all straight forward stuff, and all the videos have some strong material. Alternatively start with any volume that has tricks that especially appeal to you, based on the description of the effects. "I have the other three volumes and this does not disappoint." - Bill W.
"Excellent content. Great production value." - Michael L.
"John definitely saved the best for last. Thank you John Bannon for this truly wonderful card magic DVD!" - John H.
John Bannon has set the bar high with the previous three releases in this series, yet with Volume 4 he manages to live up to his own high standards and doesn't disappoint. The high calibre self-working card magic that Bannon performs and teaches is definitely not the kind of self-working card magic that you may have grown up with, because this isn't anything like the old-and-tired 21 card trick. It's hip, it's baffling, it's clever, and most importantly, it entertains. 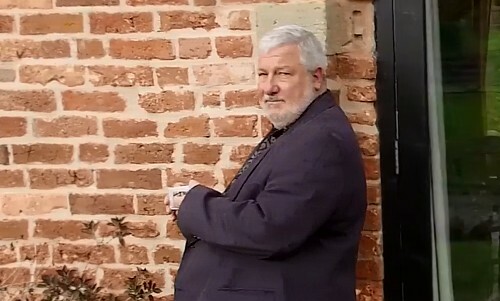 When it comes to card magic that is well within the reach of the relative newbie and yet can be respected and enjoyed by the experienced performer, few do it better than Mr Bannon. What you learn in this series isn't just how to do "tricks", but to perform real "magic". And of course Big Blind Media comes to the party in all these videos by presenting the very best in visuals and sound. What you get in Volume 4 is almost two and a half hours of high quality filming. This video is every bit as good as the three that preceded it, and as a set it offers a very fine collection of self-working card magic. Because there is some overlap with ideas, and because not everyone will be in a position to purchase every single video that is part of the series, I hope that some day Big Blind Media will release a single "Best of Move Zero" video, which showcases a dozen or more of the very best tricks from the series. But the reality is that there is very little weak content here, and I'm glad to report that this fourth video is a fitting finale that matches the excellence of the first three in the set. 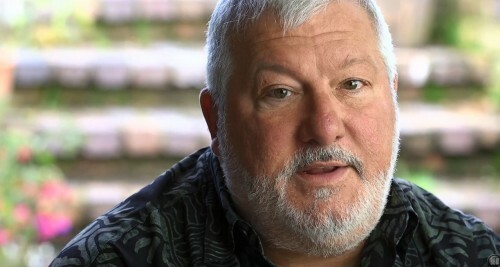 Bravo John Bannon, and bravo Big Blind Media! If you like John Bannon, just get this. I'm a big fan - I like his writing, his thinking, the explanations. Just good stuff!